We have seen two senior cabinet ministers resign; DExEU Minister David Davis MP and Foreign Minister Boris Johnston MP. They have been replaced by Dominic Raab MP and Matt Hancock MP respectively. These resignations came after the publication of Theresa May’s White Paper at the beginning of July outlining the UK’s future relationship with the EU. The White Paper was finalised at the Cabinet Chequers away day, with some of the pro-Brexit MPs considering her ‘soft Brexit' approach to be a betrayal. More pressure piled onto Theresa May and her cabinet from pro-Brexit factions of parliament following some extremely narrow votes on the Trade Bill which included an amendment which would make it illegal to have a customs barrier between GB and NI. The issue of the Irish border is still one of the greatest hurdles to overcome in the Brexit negotiations with very little progress being made to date. Both sides have pledged that there should be no physical infrastructure on the border- however the solution to maintaining this frictionless border after Brexit remains unclear. Theresa May has advised that she is still committed to a backstop for Northern Ireland in the event of a ‘no deal’ but has said that the EU’s current proposal and any border in the Irish sea is unacceptable. In response to the paper, EU’s chief Brexit negotiator, Michel Barnier, has all but said that May’s proposals for a future relationship based on a free-trade area for goods and a new customs agreement would not be acceptable, reiterating the EU’s commitment to the single market and the indivisibility of its four freedoms. Barnier also emphasised the need for a workable backstop solution for the Irish border before the conclusion of the formal withdrawal agreement. It is looking as if preparations for a ‘no-deal’ scenario are being stepped up by the government. A 'no deal' means that no formal agreement is reached between the UK and the EU and the UK would crash out of the EU on 29th March 2019 with no transition period and no time to adjust. It also means that there would be no trade agreement and the UK would have to trade with the EU under the World Trade Association (WHO) rules - this means customs checks and tariffs. 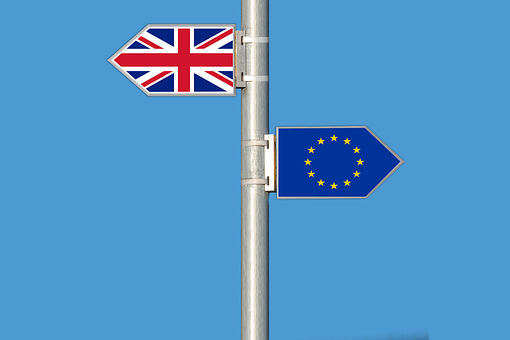 In light of this increasing possibility of a ‘no deal’ it has been reported that 70 ‘technical notices’ for businesses and households will be published over the next couple of months advising how to prepare for this outcome. This is on top of revelations that the government is stockpiling food and medicine in the event of food shortages if no deal is reached. The EU Commission have published a communication outlining the ongoing work on the preparation for all outcomes of Brexit including a ‘no deal’ which warns that there could be considerable impact on European businesses and citizens including customs checks, issues with personal data transfers and disruption to the aviation industry. This month also saw a legal challenge launched by the UK Government against the Scottish Parliament’s Continuity Bill. This Bill was Scotland’s version of the UK (EU) Withdrawal Bill and was passed in March 2018. The UK Government are challenging this bill in the Supreme Court to determine whether this is within Scotland’s legislative competence. This relates to the ongoing dispute about devolution powers post Brexit. The Attorney General for Northern Ireland has intervened to support the Scottish Government’s case. Meanwhile there have been increasing calls for another vote on the final deal with the People's Vote campaign. This has received support from several cross-party MPs including former Conservative education secretary Justine Greening. It has also been backed by a number of organisations such as the British Medical Association, the Royal College of Nurses and the Royal College of Midwives. Downing Street is maintaining its position of ruling out any new referendum, however there is mounting pressure on Jeremy Corbyn from Labour members, MPs and Unions supporting another vote. If Corbyn moved to support a second referendum, then there would potentially be a majority in parliament for this. The parliament has now gone into recess for the summer and won’t sit again until September. The next EU summit meeting will be taking place in October where the UK and the EU had hoped to finalise a withdrawal agreement. The government is also due to unveil its immigration policy in September, and again uncertainty is the theme that underlies this process. May will also face further pressure from the Conservative party conference at the end of September. With eight months to go until 29th March 2019 there remains much work to be done. Although the EU Withdrawal Bill has now passed into law, the government is not able to ratify the Withdrawal Agreement until Parliament has passed a motion to approve the treaty along with a political declaration of the future EU-UK relationship, it must also be put to the House of Lords and Parliament must pass legislation to implement the Withdrawal Agreement. It is likely that MPs would be able to amend a motion on the deal. In the scenario of a ‘no deal’, parliament will have a vote but will have no power to direct the government on how to proceed. It is unlikely that MPs would be able to amend a motion moved by the government to comply with the EU Withdrawal Act in a ‘no deal’ scenario. More details on parliament procedure in the event of a ‘no deal’ can be found here. The Government has published a Written Ministerial Statement on the UK Shared Prosperity Fund, you can see the full here.